My truck was wrecked and I had literally just finished putting on a brand new Superlift with the coil over conversion. It probably has not even a hundred miles on the new suspension. I want to see how many people would be interested in this. 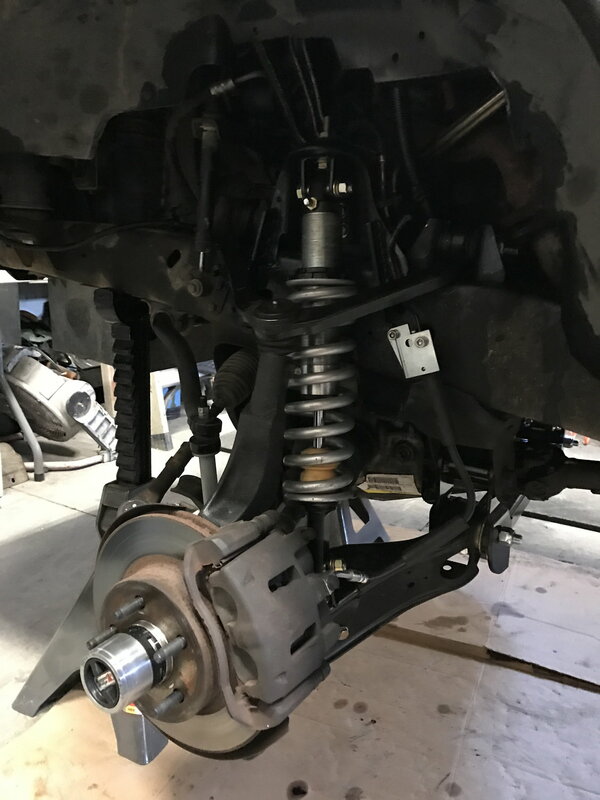 The rear suspension was lifted via explorer leafs and 2in lifted shackles, I was planning to buy skyjacker soft ride leafs and completely eliminate the explorer leaf and shackles as it made for a stiff ride. Also have few parts laying around that had been mounted on the truck before the lift. The truck is a 99 ford ranger xlt extended cab 4x4 with manual trans. The rear end hit the center divider and is bent pretty badly and the truck tipped onto its driver side. Oddly enough all the impact went into the hitch and bumper the tailgate is literally untouched, but driver side and cab are scrapped up and bent. Im located in SF bay Area if anyone is local. .New Fox coil-overs with Eibach 700lb springs, with extended eyelets, and bump stop mounted on coil over. .Upper control arms and ball joints aren't new but replaced when bought the truck at 160,000 miles truck now has 180,000 miles. .Rancho rs5000 lifted height shocks front and rear probably around 3000 miles on them. .3in body lift but i don't think i would want to dissemble that off the truck. 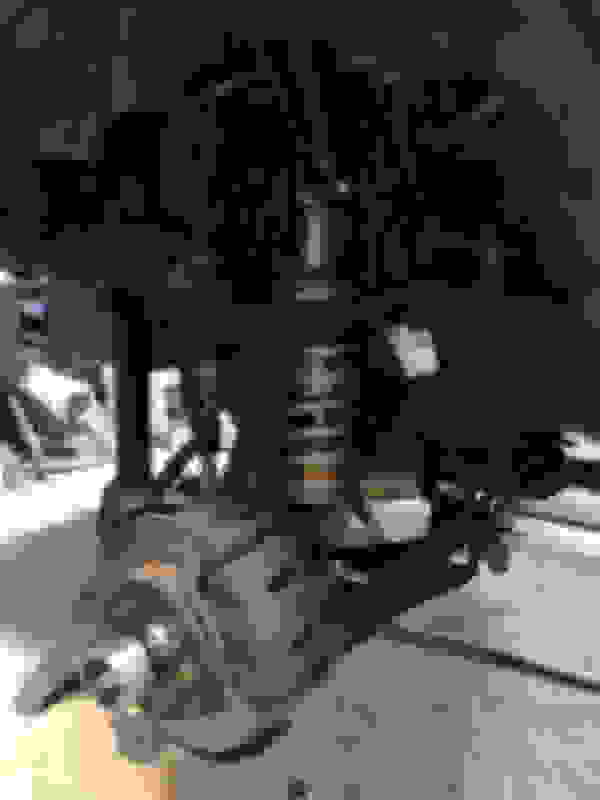 .Running 99 OHV Engine with 180,000 miles on it, at 170,000 lifters were replaced, along with rocker arms and push rods, and main crankshaft bearings. . Transmission was rebuilt and clutch replaced at same time at 170,000 miles. .New Headlights mounted on the truck December of 2016. All parts in the bundle are still mounted on the truck but if this gets enough interest I will dismount and ship. Everything in the Bundle easily cost me around $3000 I'm thinking I would let it go for around $2100ish plus shipping. Shipping for the bundle will probably be a couple hundred. I know for sure it will fit rangers from 98-99. I called Superlift and the only difference they said was a hole is drilled in spindle for the vacuum operated hubs on the 98-99 kit. I ended up plugging the hole after switching to manual hubs. So they would probably work on the 2000+ model rangers maybe someone can correct me if i'm wrong. Last edited by brenz97; 12-01-2017 at 12:35 PM. Sorry you had an accident and hope everyone is ok. I'm interested in most of the bundle. I don't need the wheel bearings or manual locking hubs. 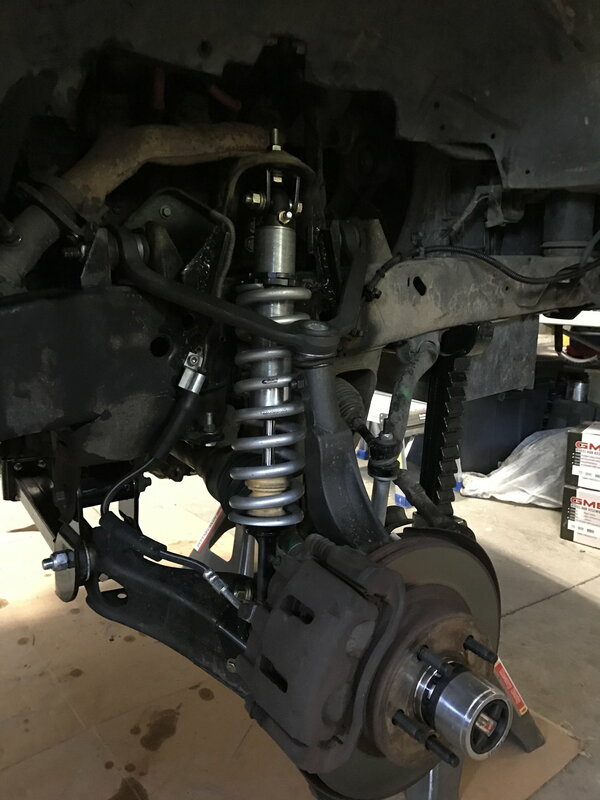 I wouldn't be able to coil swap right away so I would also be interested in the shocks and would need the torsion bar drop brackets from the super lift kit if you have them (and drive shaft :) ). Please post some pictures when you get a chance. I don't have any of the torsion bar stuff from superlift I custom ordered the kit from superlift without the torsion bar lift and without the rear lift. I also don't have the superlift drive shaft just the stock one. I will post some pictures In a few days. Here is a picture of the components assembled on the truck. I hope to have it disassembled completely by the end of this week. Ill take some more pics of the parts after. I have a superlift, how do I get the parts for coilover conversion? ?